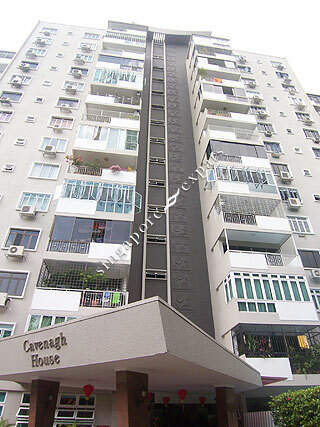 Cavenagh House is a freehold development situated along Clemenceau Avenue North, near Newton Road, Scotts Road and Cairnhill Road. Cavenagh House stands at the doorstep of the Newton MRT Station. With the world-class shopping and entertainment attractions of Orchard Road just a stone’s throw away, you can walk to your favourite designer stores at Paragon and Ngee Ann City. Or wine, dine and dance the night away just minutes from your home. The ever popular Newton Circus Food Centre is also a mere 5-minute stroll away. Located just seconds away from the Central Expressway (CTE) which links motorists to other major expressways around Singapore within minutes, Cavenagh House provides residents excellent accessibility to other parts of the island. Along a main road and yet green and quiet. The unique quality of this condo is that it has large bedrooms more than double the size of today's condo. Neighbours are cosmopolitan and friendly and the building is well maintained.